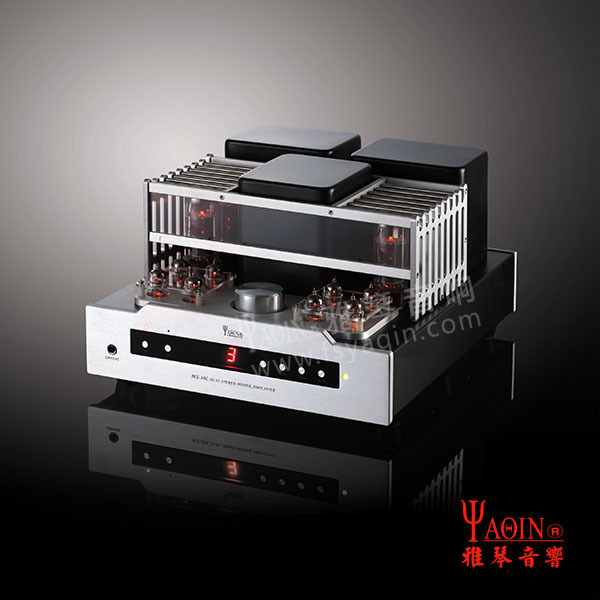 Yaqin MS-30L is a 2x50W HiFi Tube Amplifier. Works in triode mode or ultra-linear pentode mode. The amplifier reproduces very balanced sound without any coloration. STALLOY transformers ensure high quality signal without hum or noise. It supports wide range of frequency bands. Headphone output available on front panel. Remote allows input selection and volume control. 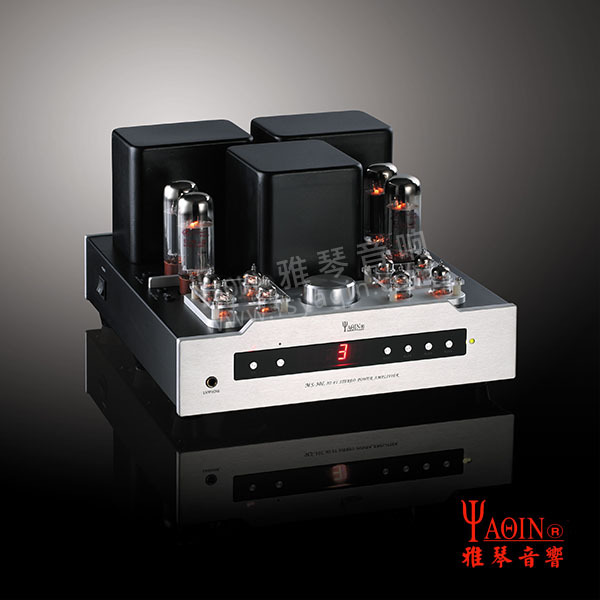 Yaqin MS-30L is the revised version of the amplifier Yaqin MS-20L. As in the previous model, the amplifier operates in push-pull, which is based on the same tubes as the predecessor of which is 2 EL34-B power tubes per channel and 4 tubes 6J1 control of the cannnel. This design allows to work in two modes: triode and ultra linear - pentode (selection of working mode from the front panel or the remote control). The amplifier has a headphone plug located on the front panel. Triode mode - power tubes pentode work as a triode without local feedback while maintaining good linearity which is characteristic of the triode structure. Ultra linear mode - power tubes work as pentode using local feedback ratio of speaker transformer tap on the pentode grids . In this mode, thanks to the multi grids tubes obtain higher efficiency and expanding bandwidth. High DC voltage delay circuit to protect tubes . 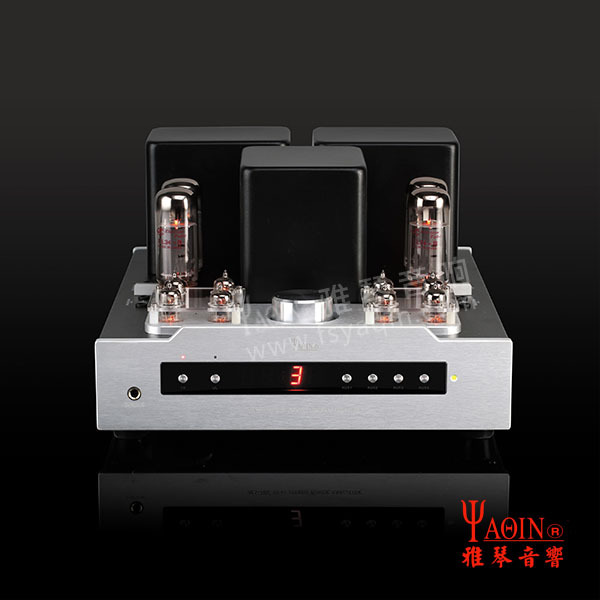 It’s very important to maintain the stability and accuracy of the operating points of the tube amplifier, especially of the power tube. The screen current changes when the tube gets ageing, or replacing the tube. Break away of the required operating points will influence sound resolution and the stability of the machine. So, please check and adjust the screen current after a long time of use, and it is the same when changing the tube. Use a multi-meter to measure. Adjust the multimeter to volts d.c. 1V range, and the volume of the amplifier the minimum, then insert the anode of the multi-meter pen into the positive hole, and the cathode into the negative hole respectively. The bias voltage should be about 0.45V when the standard input voltage is 230V or 115V. All tubes, remote control, power cord 1.5m, hexagonal screwdriver, screwdriver, fuses, batteries for remote control.